Huberto Juarez Nunez, an economics professor at the Benemerita Autonomous University of Puebla: "When it comes to the population in the municipalities around Ciudad Modelo, there has been no benefit for them from the Audi plant. Ciudad Modelo is not for the workers. Maybe for the foreign technicians." 50-acre strip of parkland running 4 miles through the city center, providing a "green belt"
SAN JOSE CHIAPA, Mexico — Just beyond the gray cinderblock homes and thick brown dust of tiny San Jose Chiapa lies the promise of a shining new city where there once was only farmland, thanks to a $1.3 billion Audi plant built in the middle of nowhere. As San Jose Chiapa recedes from view along the highway to Vera-cruz, the pavement becomes smoother at the exit for Ciudad Modelo, or Model City, a master-planned community being developed by the government next to the 1,000-acre Audi plant and accompanying supplier park. While President Donald Trump continues to threaten the Mexican auto industry with a trade war, officials in the surrounding state of Puebla are making their biggest bet ever that auto production is here to stay, and that it can be leveraged to bring forth not only manufacturing jobs but also a more orderly transition to an urban, industrialized economy. No one lives in Ciudad Modelo yet, except at the newly opened LQ Hotel. The city feels like a construction site during the week and a ghost town on weekends, with completed buildings scattered amid vast open fields. The evolving skyline is a stark contrast to the humble farming and canning towns that surround it. There are colorful condos, a convention center, school towers offering kindergarten through college education, and the outlines of a supermarket and shopping mall. Audi, which buses most of its workers to the Q5 plant from the state capital, about 40 miles away, isn’t funding the model city, government officials said. The automaker has promised 4,000 direct jobs at the factory, which will make about 150,000 Q5 crossovers per year. Tens of thousands more jobs will come from auto suppliers and the service industry. There is also room on Audi’s footprint to grow. But having wooed Audi to one of the poorest areas of Puebla, the government and its private partners are determined to create a surrounding urban infrastructure in the hope that the engineers, line workers, service firms and everything else needed for a vibrant, modern metropolis will follow. The city is expected to eventually grow to 100,000 residents or more, becoming perhaps the second-largest city in Puebla state — after the state capital, also called Puebla — and a model for Latin America. Not everyone is on board with Ciudad Modelo. 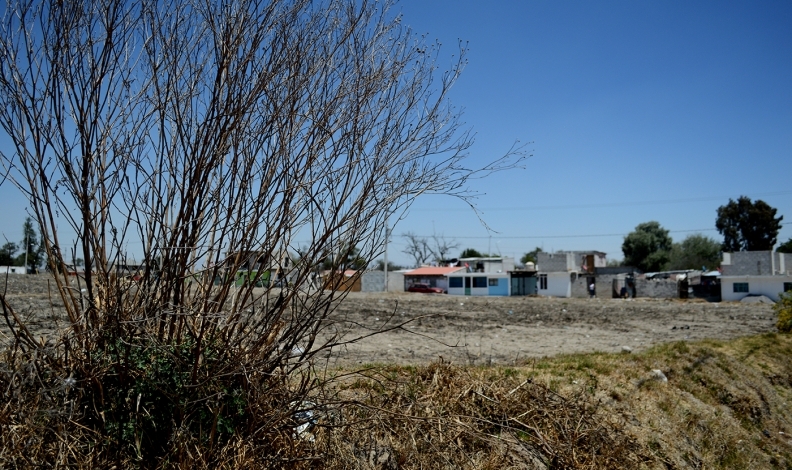 Mayors in this rural area of Puebla complain about limited development funds being used on a fancy new city rather than on the needs of their impoverished residents for paved roads and basic health clinics. Indigenous groups are protesting attempted state control over local resources such as water and land; they won a court injunction against an agency set up to administer Ciudad Modelo without input from the communities that it directly affects. And some local residents express resentment that the arrival of a global powerhouse such as Audi has had little positive impact on their lives, because the skilled workers who will operate and staff the plant are brought in from elsewhere. Workers at Audi's new plant in San Jose Chiapa are holding their union leadership responsible for what they say are less-than-premium wages and benefits. 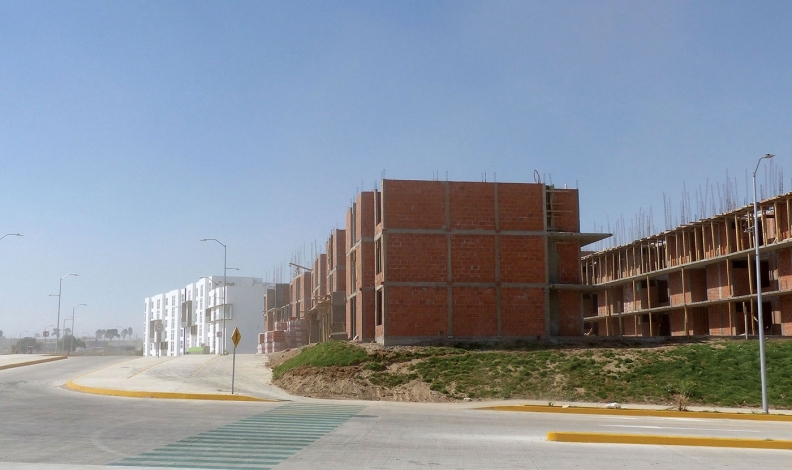 Ciudad Modelo's modern apartment buildings will transform the landscape around rural San Jose Chiapa. In San Jose Chiapa’s town plaza on a recent Sunday, Francisco Flores, a 46-year-old laborer, said he was torn about the arrival of Audi and the planned model city. He’ll likely never work for the German automaker, and he certainly can’t afford a new house in Ciudad Modelo. 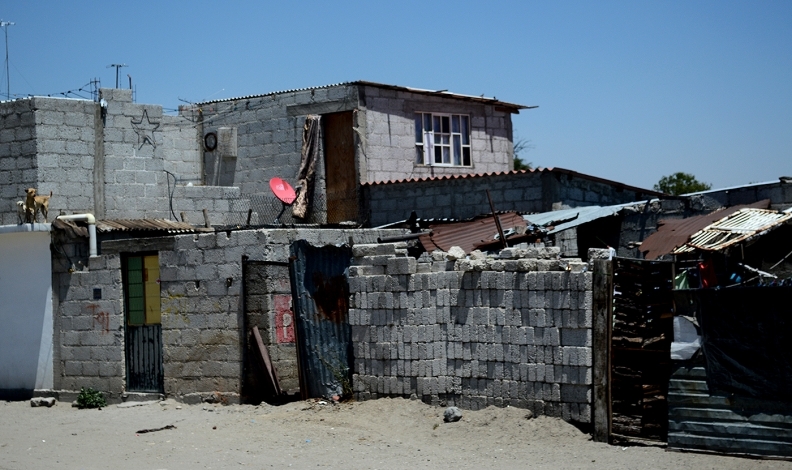 “I’m a native of this town, and I don’t see any benefit here,” he said, pointing to the unpaved roads and crumbling homes of San Jose Chiapa. At the same time, his young daughter and son both attend those new Ciudad Modelo schools — she plays in the orchestra sponsored by Audi, and he sings in the school choir. State officials insist that the impact of Ciudad Modelo will radiate into the traditional towns surrounding it, stimulating their own real estate markets, small shops and restaurants, and providing steady service jobs that are relatively well-paid. Chain said he didn’t have figures on how much the government has spent or will spend on Ciudad Modelo. He said the state is putting in the infrastructure, and private firms are investing the rest, in things such as hotels, housing and shops. A local Audi worker, who asked that his name not be used to avoid problems with the union and with the automaker, said he sees little interest in Ciudad Modelo among fellow workers. Likewise, few are attracted to the rustic towns that surround it. Most of the line workers are brought to the Q5 factory on Audi-provided buses from the capital city, where housing and services are plentiful, even if the round-trip bus ride takes three hours. “We prefer to buy in Puebla rather than in Ciudad Modelo,” the worker said. Real estate promoters have made the rounds at the plant’s dining hall, and the numbers just don’t add up. Tiny apartments, even with government subsidies, would be a financial stretch for workers averaging about $15 a day, he said. Workers who repair robots and make twice that have a better chance. That persistent gap points at the biggest problem with the concept of a modern city that caters to Mexican auto workers: low pay. “In terms of salary, we’re pretty disappointed,” the worker said. “If you’re making premium cars, you should get premium wages.” He said he made more — with benefits — at his previous job with a global auto supplier. Huberto Juarez Nunez, an economics professor at the Benemerita Autonomous University of Puebla who has studied the auto industry for decades, said falling wages for auto workers have priced them out of places like Ciudad Modelo. And local elected officials, he said, are too desperate for jobs and public-works projects to challenge state governments or automakers in deciding what to build and where. Still, Juarez accepts that the auto industry in general has been beneficial to Mexico by creating steady jobs, even if wages have been going down as low-wage supplier jobs put pressure on auto-assembly workers to accept less or be replaced. The mayor of San Jose Chiapa, Josue Martinez Santos, said the town of 8,400 expects better times ahead for agricultural workers who squeak out “an abysmal” $8 a day. At least they have access to better health care and schools in their sister city, he said. Audi says its Mexico plant is “one of the most modern automotive production facilities in the world, in regards to technology as well as employee benefits,” which include performance-based bonuses, generous maternity and paternity leave, access to free 24-hour health clinics and apprenticeship opportunities. “The company is in it for the long run,” Audi said in a statement to Automotive News. 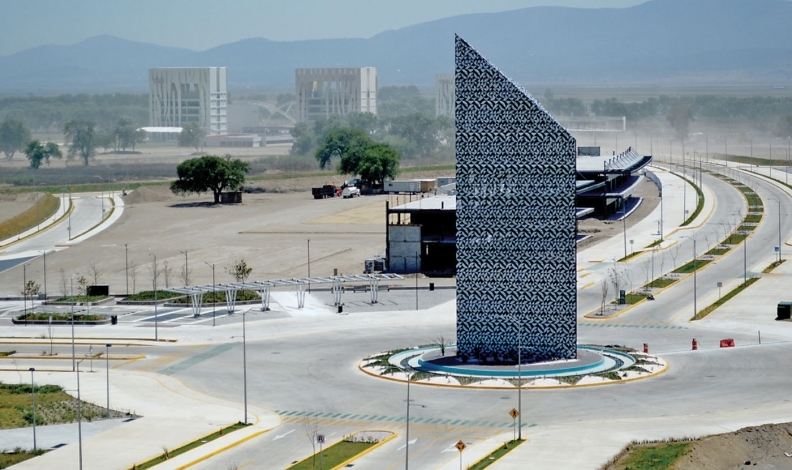 Puebla officials said the idea for a model city grew out of the urban chaos and slums that rapid industrialization has caused across Latin America, often because of a surge in foreign factory work that came with little planning or infrastructure. For decades, developing nations such as Mexico have lured direct foreign investment in everything from mining to manufacturing in the hopes of lifting their people out of poverty and endowing underdeveloped communities with basic services. Mexico allowed foreign assembly plants, or maquiladoras, along the U.S.-Mexico border long before the 1994 North American Free Trade Agreement. Since NAFTA, Mexico has drawn more highly skilled manufacturing jobs, but many of its industrial cities are chaotic and insecure, and half the nation’s population still lives in poverty. Puebla can look to its own capital as an example. Audi parent Volkswagen AG opened its plant there more than 50 years ago to make the original Beetle. That plant now makes nearly half a million cars a year, including Jettas and Golfs, and the automotive industry is the state’s biggest employer. No one planned for that level of growth. This time, they are, officials said. Rodriguez was the economic development secretary for state of Puebla during the planning of Ciudad Modelo, which was not actually the government’s first idea for building up the area to make it attractive to economic players that could lift it from widespread poverty. The state originally identified three communities, including one with a canning industry and a beer plant, that could be modernized over time. The problem: None of them was likely to draw the types of workers that Audi and its suppliers needed. “And so we had this idea to create a new population settlement that would have the highest quality services and where the people who came to work in the region would like to live,” he said. Assembly workers are expected to buy into Ciudad Modelo first, once basic services are complete. They would be followed by managers as more amenities come online, and eventually the entrepreneur class. Rodriguez said among the most important parts of the entire project are the schools, technical centers and universities, because they provide the best hope of elevating Mexico’s position in the global economic food chain. Mexico has failed to turn decades of direct foreign investment into locally owned, higher-paying industries, he said. For example, after 100 years of local auto production, he said, there are still very few Mexican auto suppliers, but lots of foreign ones doing business in Mexico, and looking mostly for one thing.